A picture-perfect Sunday resulted in a big crowd turning out for the 23rd annual Moosestompers winter carnival. HOULTON, Maine — A picture-perfect Sunday resulted in a big crowd turning out for the 23rd annual Moosestompers winter carnival. 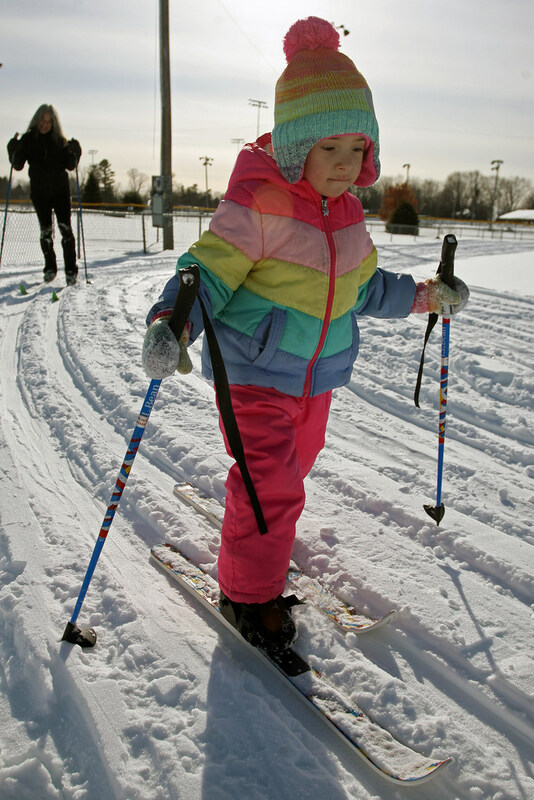 With sunny skies, and temperatures in the upper teens, scores of people turned out Sunday afternoon to cap the three-day event. Horse-drawn sleigh rides, a tractor hay ride, snowsled toboggan rides, ice skating and lots of sliding down Derby Hill created the flavor of the day. 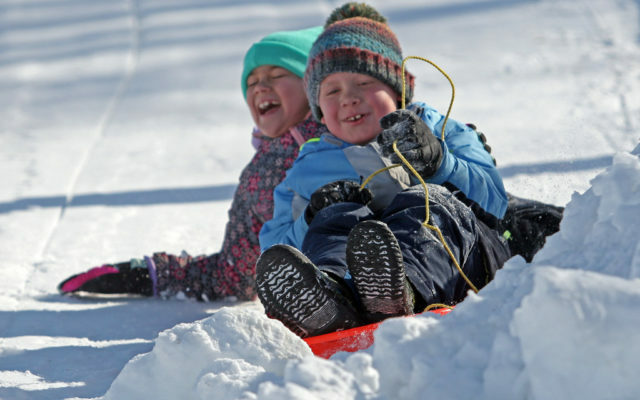 “My favorite is the snowsled rides,” said McKenna Avery of Houlton. Sisters Jazzlyn and Kayleigh McNinch of Houlton said the snowsled rides and sliding down Derby Hill were her favorite parts of the day. Winners in the antique and vintage snowmobile displays were: Vintage Single Cylinder, 1964 Ski Doo owned by Alan Wilson (won 2 categories); Vintage Twin Cylinder, 1971 Arctic Cat owned by Justin Wilson; Vintage Open, 1967 Ski Doo owned by Ted Russell (won 2 categories); Oldest Vintage Sled, 1964 Ski Doo owned by Alan Wilson; and People’s Choice Award. 1967 Ski Doo owned by Ted Russell. Cameron Tuck of Hanesville was declared the winner in the first “Snow Creation” online contest, which featured people submitting photos of their snow sculptures via the Moosestompers Facebook page. Tuck created a “Snoopy” snow sculpture. Friday night’s snowshoe hike at the Military Street Baptist Church had 19 people braving subzero temperatures for a moonlight hike. On Saturday, the Houlton Higher Education Center hosted a “Read To ME Challenge,” with 44 participants.